Home Latest Stories Will continue fighting for our martyrs’ thoughts and principles: Rahul Gandhi. Will continue fighting for our martyrs’ thoughts and principles: Rahul Gandhi. Remembering Bhagat Singh, Sukhdev and Rajguru on their death anniversary, observed as Martyrs’ Day or Shaheed Diwas, Congress president Rahul Gandhi on Saturday said that his party will continue fighting for their thoughts and principles. 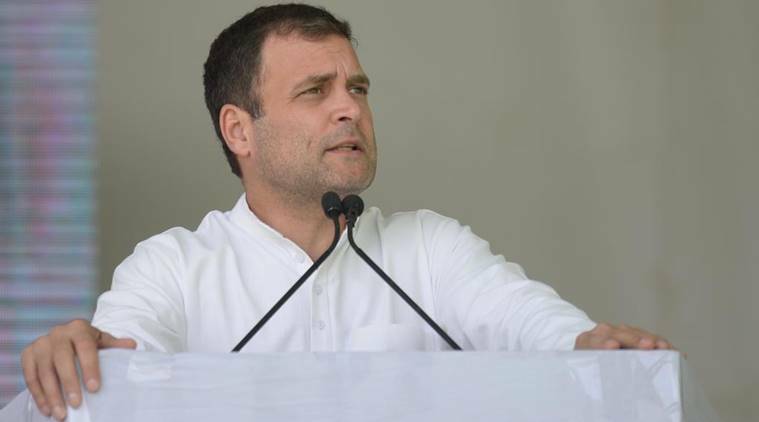 In a tweet, the Congress president said, &quot;Bhagat Singh, Sukhdev and Rajguru are not only the names, its an inspiration that is running in our vein. Even today, their’s lives make us strong, independent and a well human being. On Martyrs Day, I pay tribute to them. We will continue fighting for their thoughts and principles.&quot;On March 23, 1931, Bhagat Singh along with his associates Sukhdev Thapar and Shivaram Rajguru were hanged to death for the killing of 21-year-old British police officer John Saunders. Previous articleCyclone Idai: UN chief calls for greater support. Next articleJRL calls shutdown in Kashmir on Sunday against JKLF ban.